How do you get people to respect the purpose you intended? 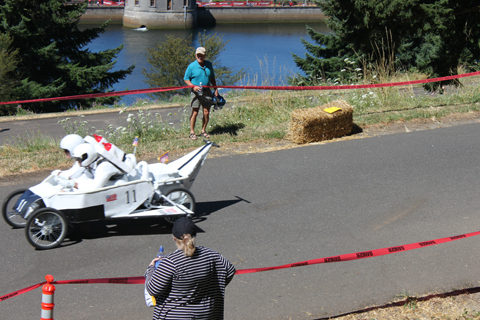 At Portland’s annual downhill box car race, bales of hay line the road in case box cars need a place to crash. Lots of people turn up to watch and inevitably they want a place to sit. With these bales everywhere, who wouldn’t be tempted to take a seat? Sometimes the rules are just so simple. These signs remind us of the intended purpose without making it complicated. 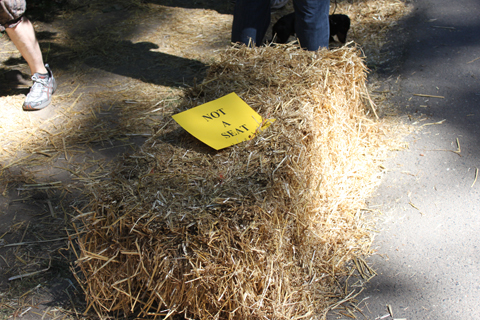 A bale of hay can be lots of things. In this case, it’s not a seat.